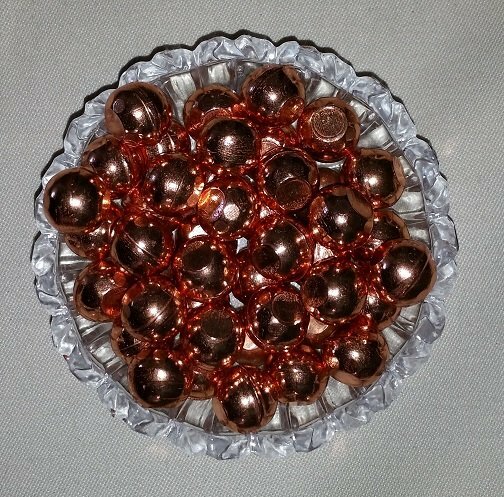 These shiny Copper spheres are flat on two sides so that they sit on any flat surface without rolling away. They are just under 1/2". Let us choose one for you! $2.00 each.